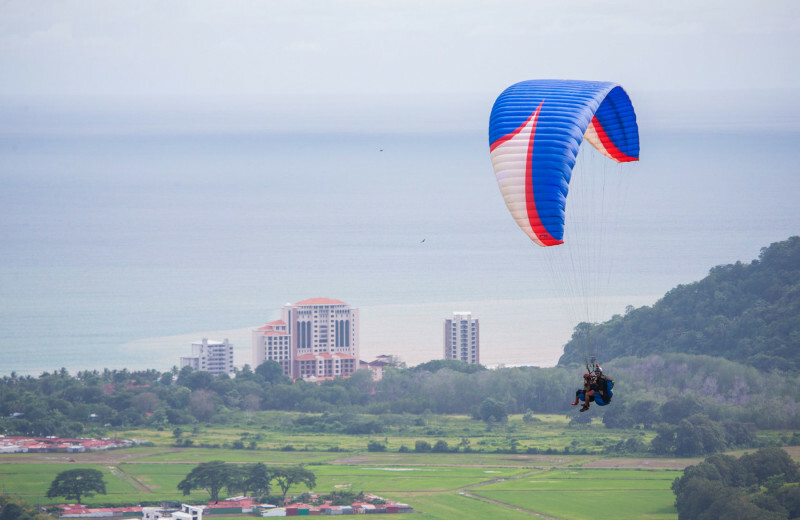 A Luxurious and Adventurous Getaway on Costa Rica's Jaco Beach! Escape the hustle-bustle of everyday life and indulge in an exciting oceanfront vacation at the quiet end of Jaco Beach, Costa Rica. 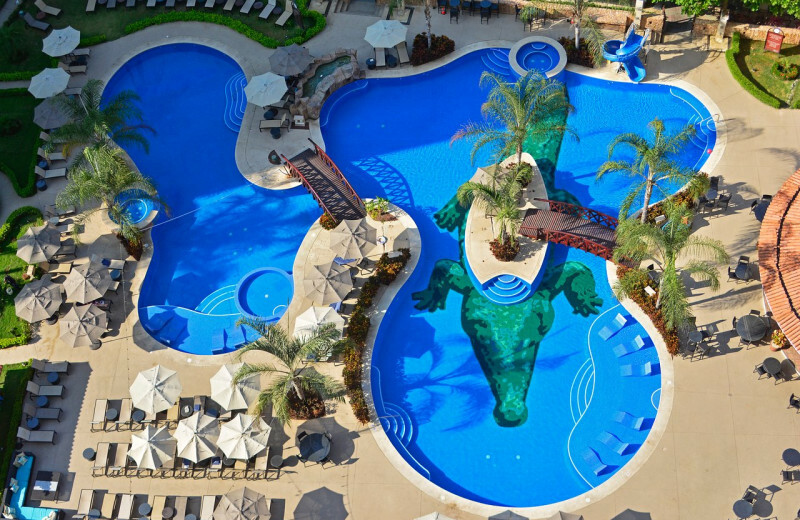 Croc's Resort & Casino is a breathtaking retreat just 90 minutes from the Juan Santamaria International Airport. 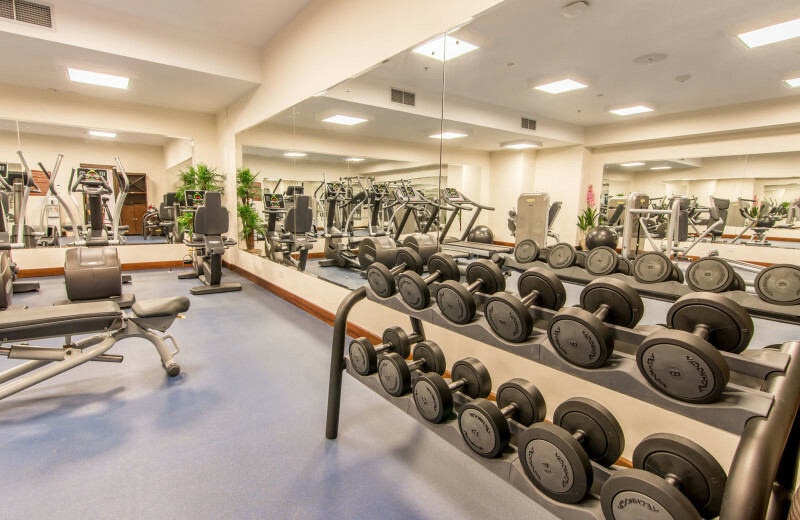 Featuring 152 rooms and 17 condominiums, each impeccably furnished and equipped with modern amenities such as free high-speed wireless internet, cable television, mini-fridge, bathrobes, and more. Their condos have fully-equipped kitchens for added convenience. When you're not relaxing in the comfort of your home-away-from-home, you'll discover plenty of opportunities waiting for you onsite and nearby. 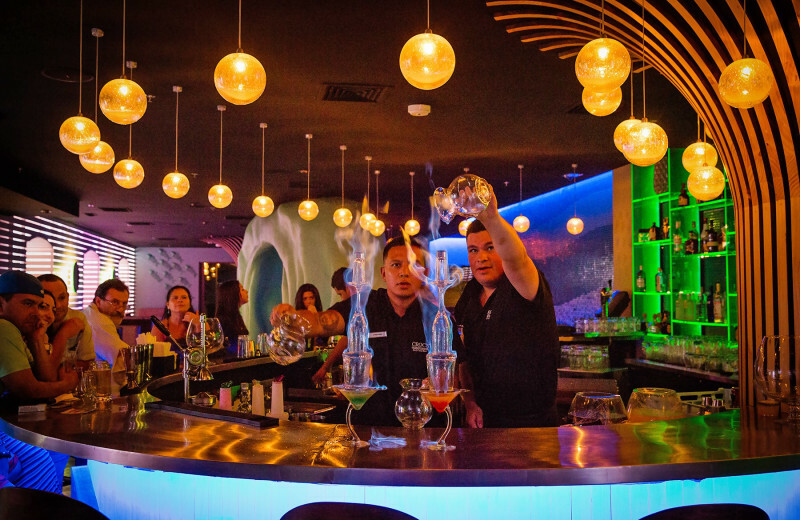 The resort features four specialty restaurants, a convention center that can accommodate up to 400 guests, a Las Vegas-style casino, and the Carara Spa and Salon. 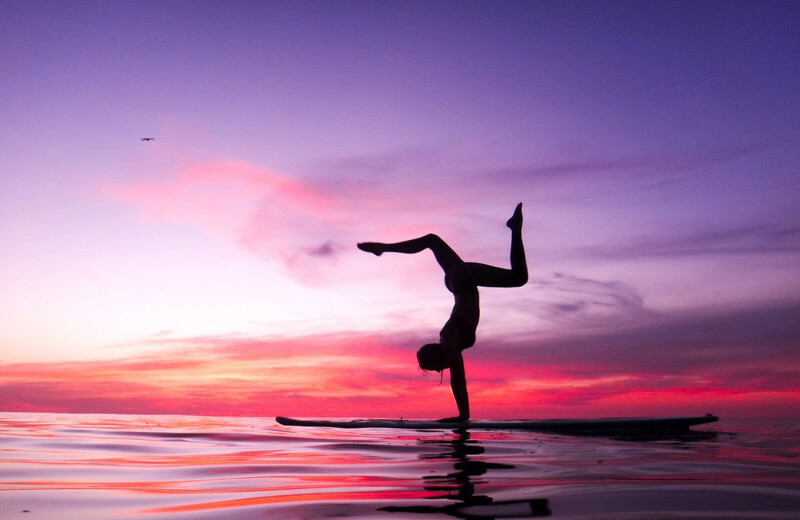 When you're not indoors, head outside to enjoy the three-mile stretch of the Pacific Ocean where you can indulge in everything from surfing to body-boarding. 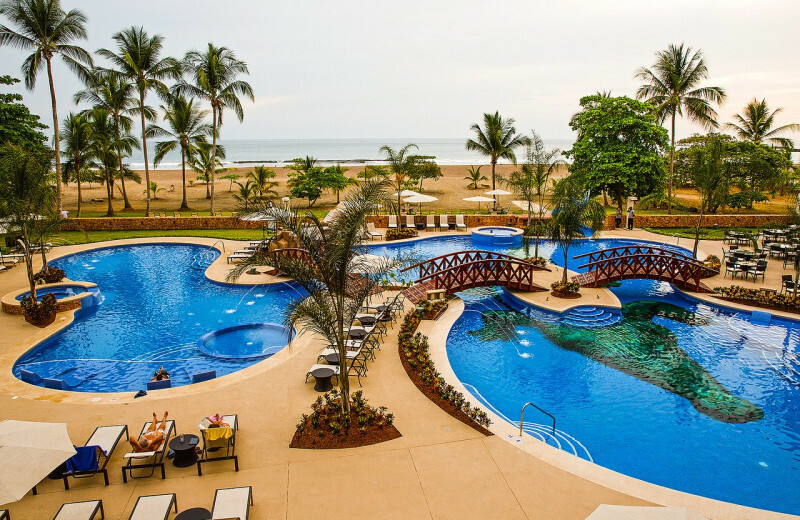 Their concierge can assist you in booking local tours and activities such as fishing at a nearby marina so you can explore the most of the Costa Rica coast as much as you'd like. This is everything you're looking for in an incredible tropical getaway! 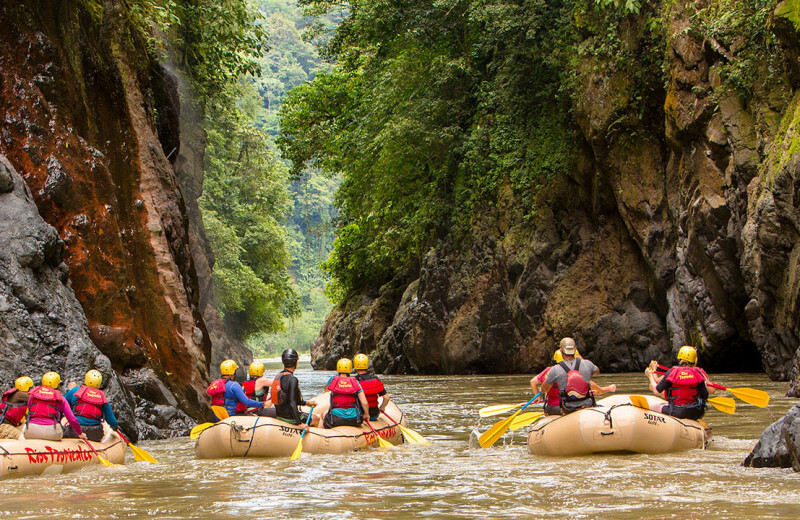 Take all the stress out of planning your next vacation and enjoy a fun-filled, all-inclusive retreat to the wondrous Costa Rica. 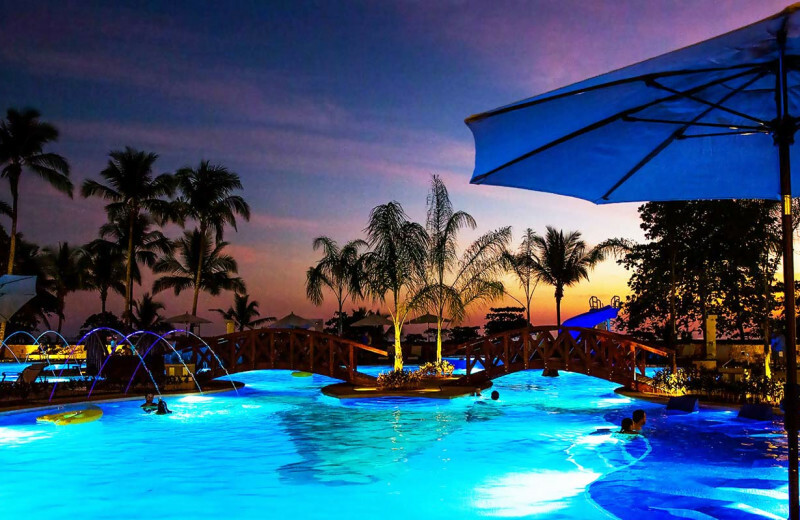 Located along the shores of Jaco Beach, Croc's Resort & Casino makes it easy to make the most of your tropical getaway. Their all-inclusive rates include your choice of luxury accommodation, endless entertainment and activities, and kid's activities for the youngsters. 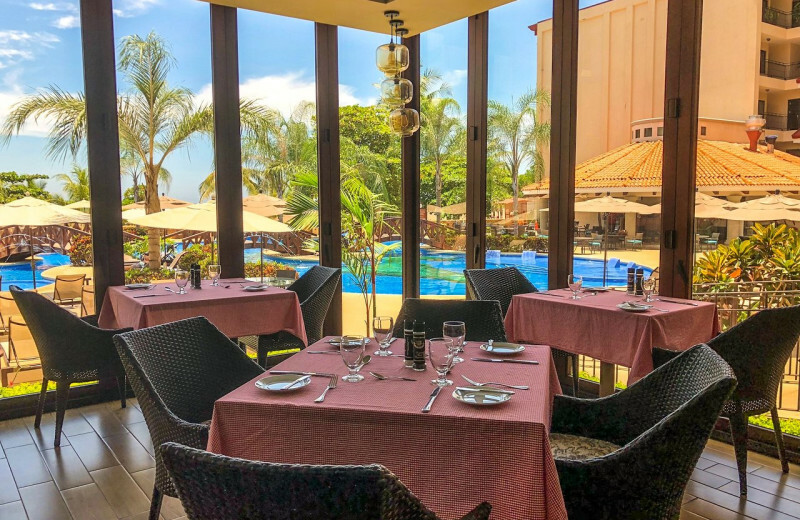 Indulge in full meals, including breakfast, lunch, and dinner at their buffet dining area, as well as fast-food service at the poolside snack bar, and unlimited drinks. It's the vacation of a lifetime! 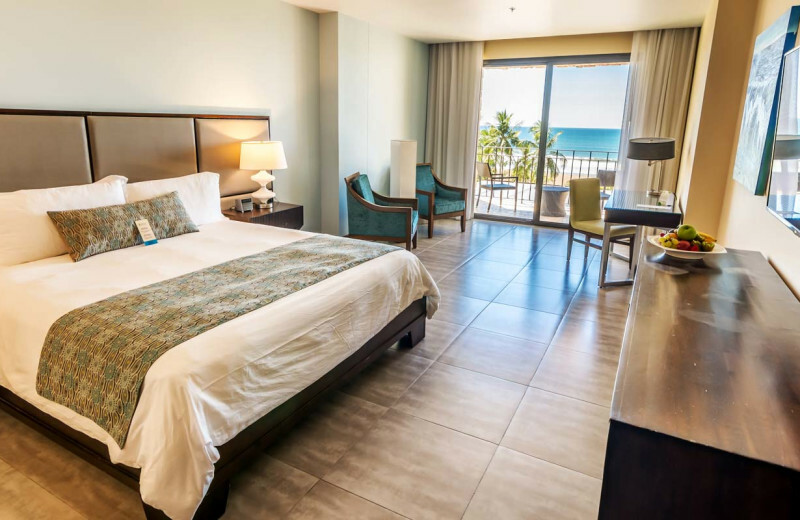 Resting on three miles along the beautiful Pacific Ocean, Croc's Resort & Casino is everything you're looking for in a beach vacation. The resort is located at the quiet end of Jaco Beach so you're close to all the action while still far enough removed to enjoy your peace and relaxation. Soak up the sun from the shores or let the resort's concierge help you plan an exciting adventure. The beach is ideal for surfing and body-boarding, but 20 minutes away you can also enjoy deep-sea fishing if that's more your style. And if you want to simply build sandcastles on the beach with the kids, that's fine too. The choice is up to you! 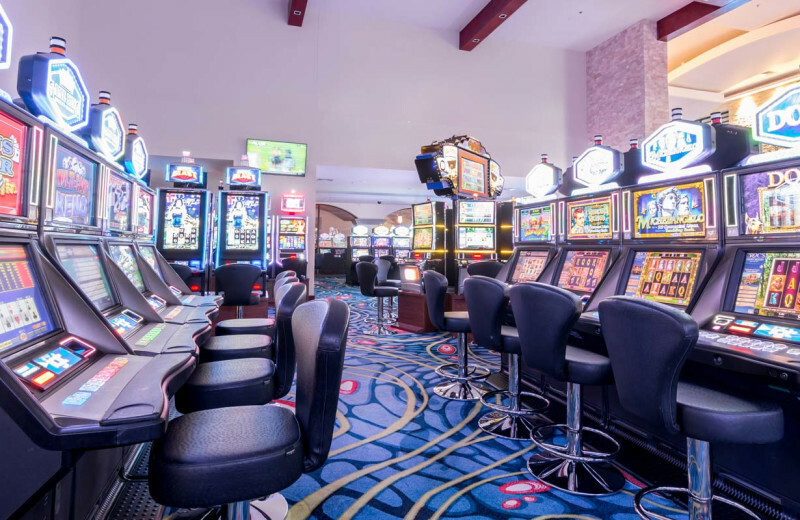 Family fun starts at Croc's Resort & Casino! 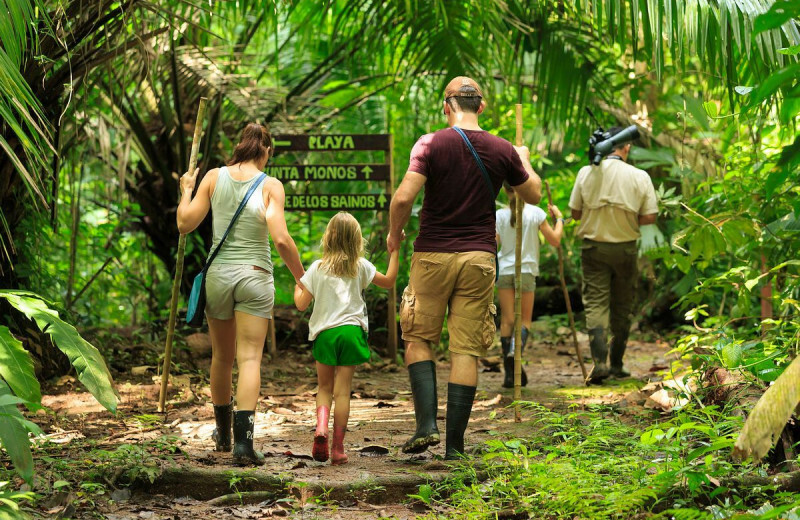 This exciting Costa Rica vacation offers families with the chance to enjoy an incredible oceanfront getaway while reconnecting with one another. 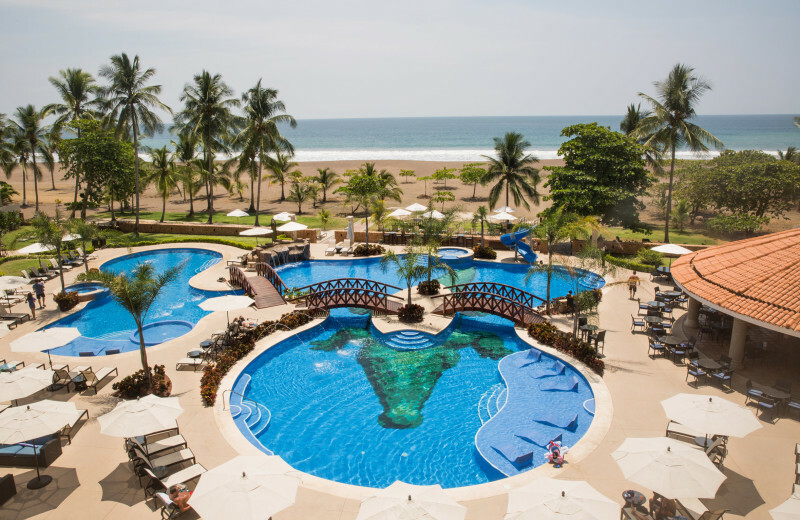 Whether you choose to splash around at the pool, build sandcastles at the beach, or exciting adventures such as horseback riding, ATV touring, and more. The concierge can help you schedule an exciting trip. 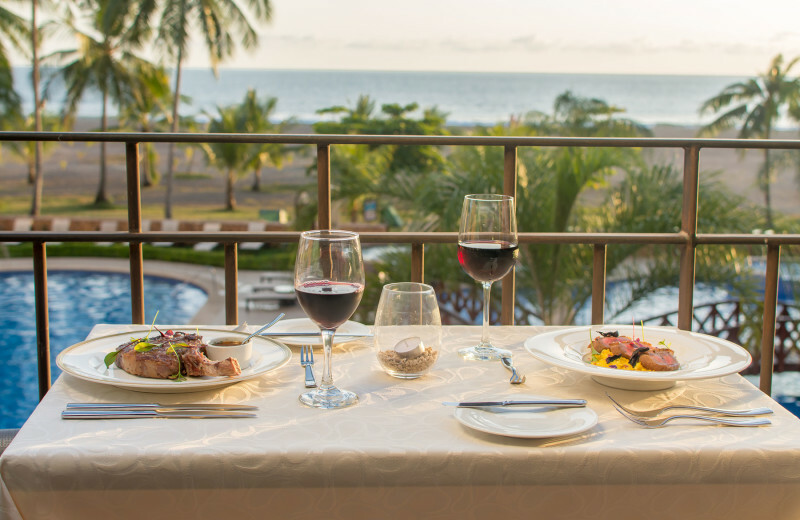 To make your trip even more enjoyable, book the resort's all-inclusive rates which includes daily meals, drinks, and entertainment. This is a vacation your family won't ever want to end! 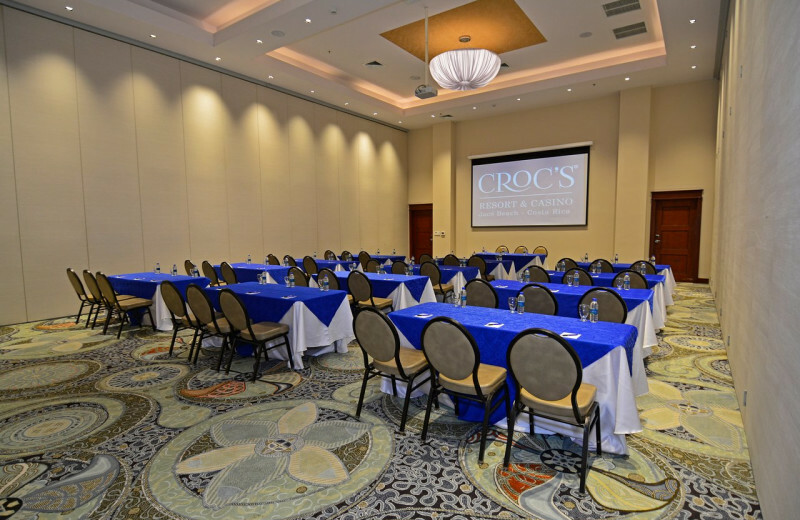 For a business event that is sure to impress, look no further than Croc's Resort & Casino. 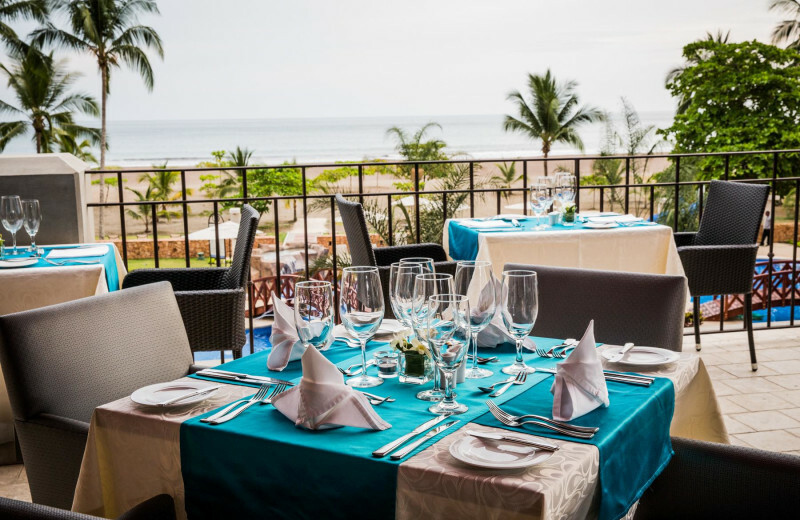 Their breathtaking oceanfront location is only the beginning of what they have to offer you and your business associates. Onsite you will find 4,500-square-feet of sophisticated function space that can host up to 400 guests. State-of-the-art audio/visual equipment is available as well as the assistance of an onsite Event Planner. 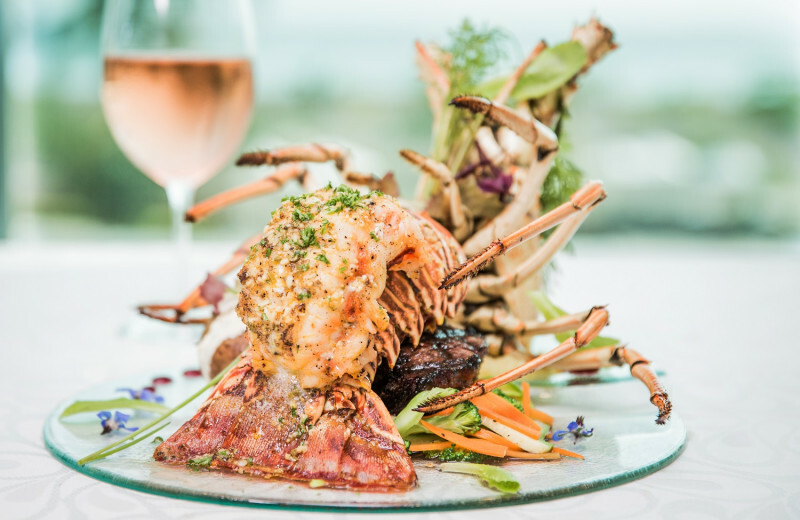 Catering services, entertainment, and transportation can be arranged according to your needs along with exciting team-building activities such as golf, zip-line tours, and sport fishing. Inquire today to start planning the best business event your company has ever seen! 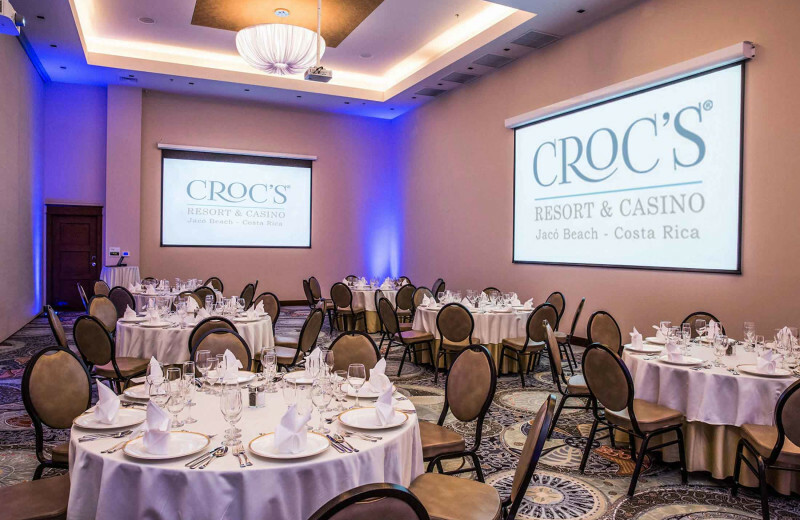 The luxurious Croc's Resort & Casino is everything you're looking for in a grand wedding celebration. 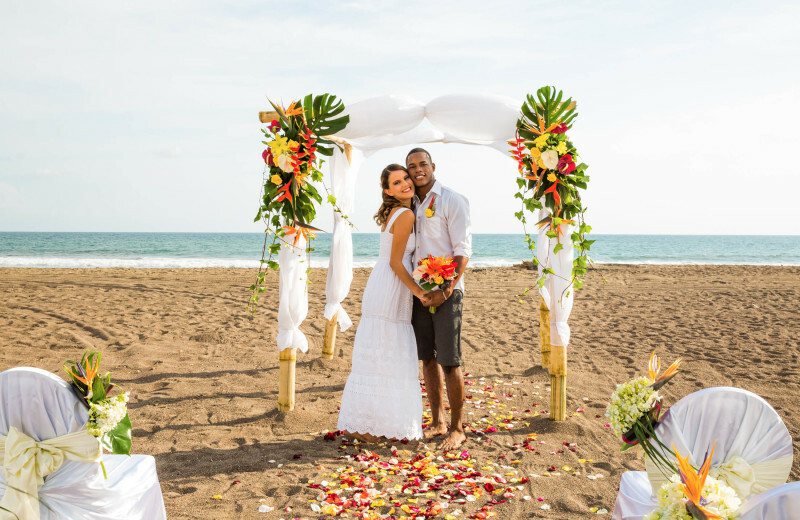 Whether you're interested in hosting an intimate beachside ceremony or an extravagant event with hundreds of guests, Croc's Resort will make all your wedding dreams come true! Their professional Event Coordinator will work with you through every step of planning, including arranging catering services, entertainment, guest accommodations, decor, and much more. 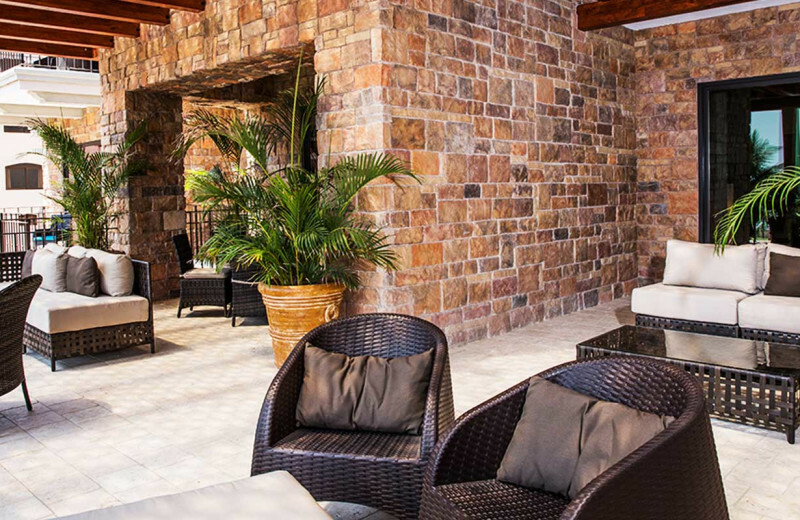 The resort features 4,500-square-feet of stunning function space and can host up to 400 guests for an event. There's truly no better place than this for your upcoming special day! Treat your sweetheart to the romantic vacation of a lifetime at Croc's Resort & Casino. 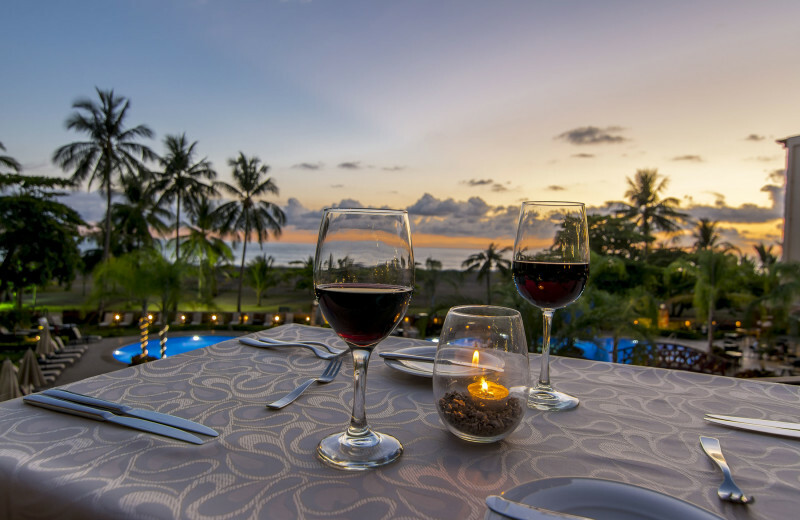 Resting at the quiet end of Jaco Beach and overlooking the waters of the Pacific Ocean, Croc's Resort is a magical Costa Rica destination that offers couples with complete luxury, entertainment, and adventure. 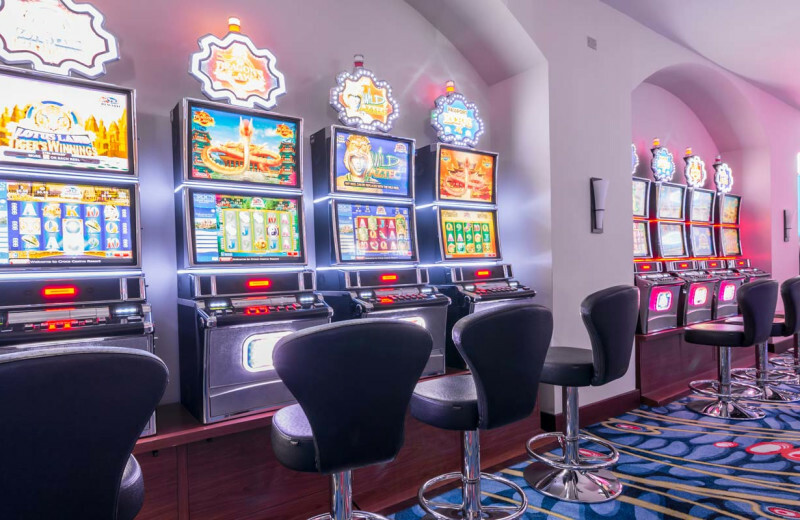 Spend your days lounging beside the oceanfront pool, indulge in an afternoon of zip-lining or fishing, and tempt Lady Luck together at the onsite casino at the end of the day. 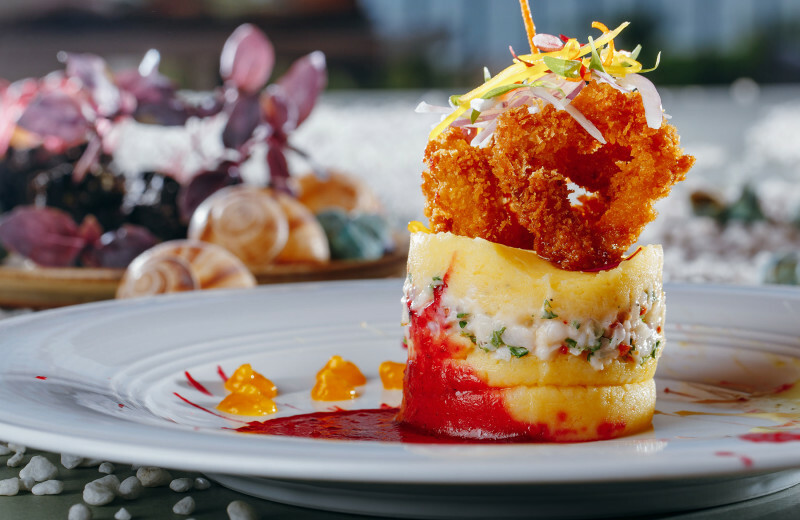 Enjoy delicious cuisine at any of their four restaurants, then sink into bliss with a soothing massage at the spa. This is the ultimate getaway for couples looking to escape from the world and simply indulge in each other instead! 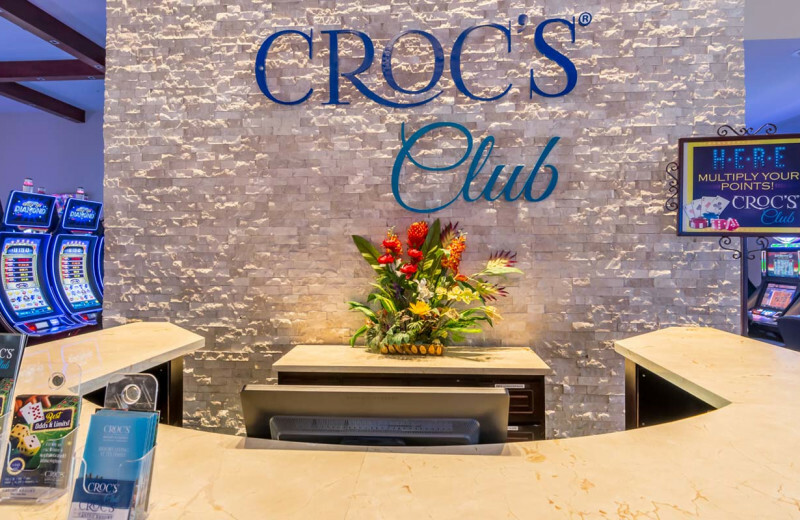 From the moment you arrive at Croc's Resort & Casino, you'll be amazed by the sheer magnitude of luxury around every corner. 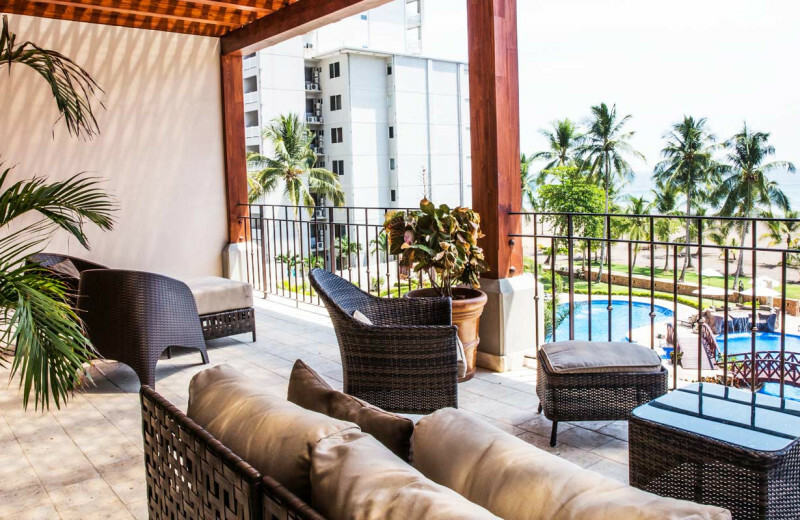 This magnificent Costa Rica destination is located along the shores of the Pacific Ocean, at the quiet end of Jaco Beach, so you're close to all the action, while still being able to enjoy your privacy. 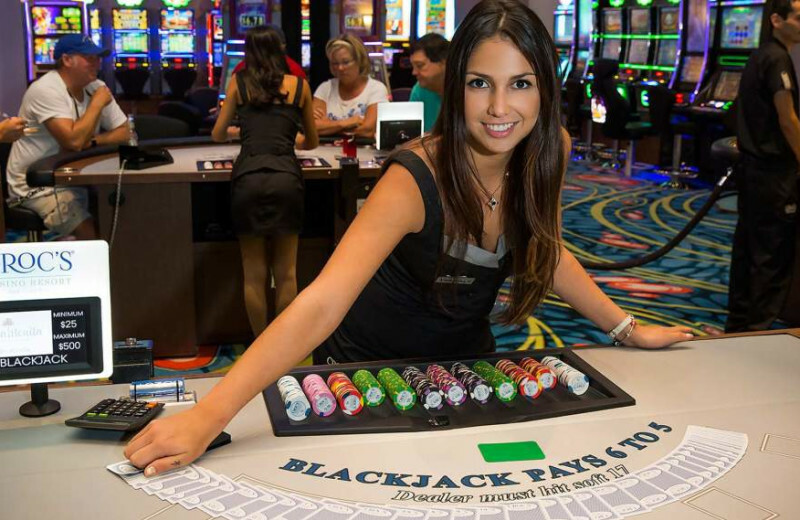 The resort features 152 rooms and 17 condominiums, 4,500-square-feet of meeting space, four incredible restaurants, an onsite casino and a spa. 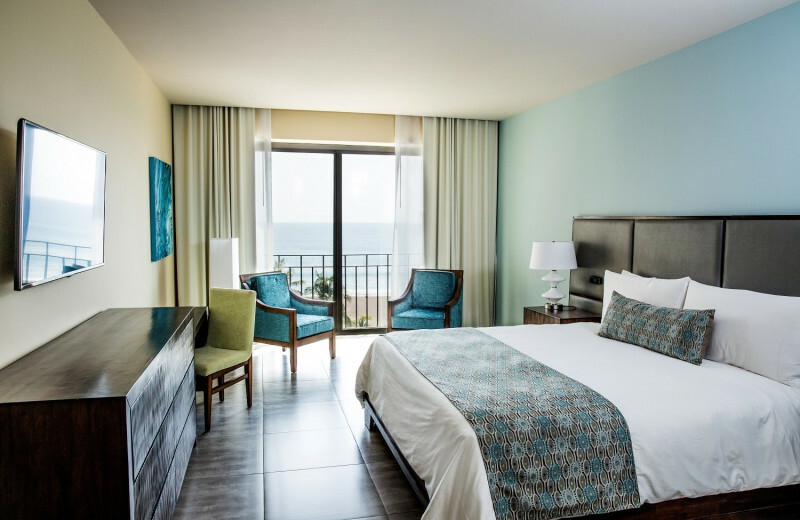 Everything you need for a memorable vacation is waiting for you here! 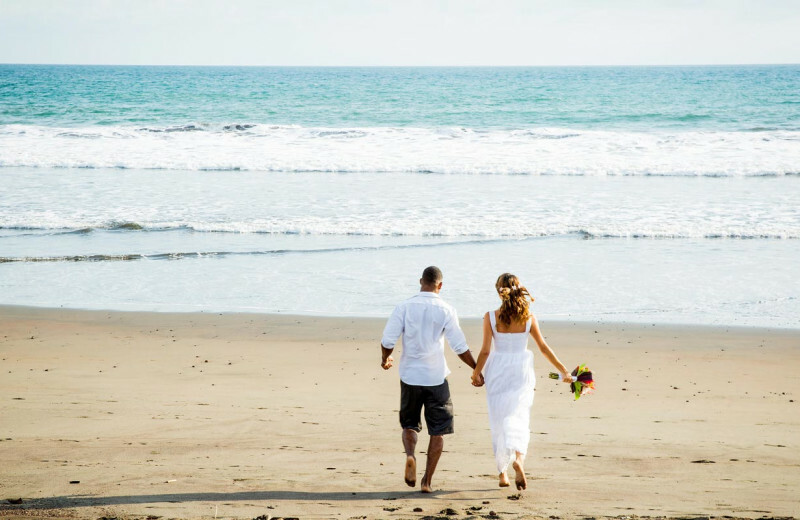 After all the excitement of your wedding day, experience an unforgettable destination honeymoon on beautiful Costa Rica. 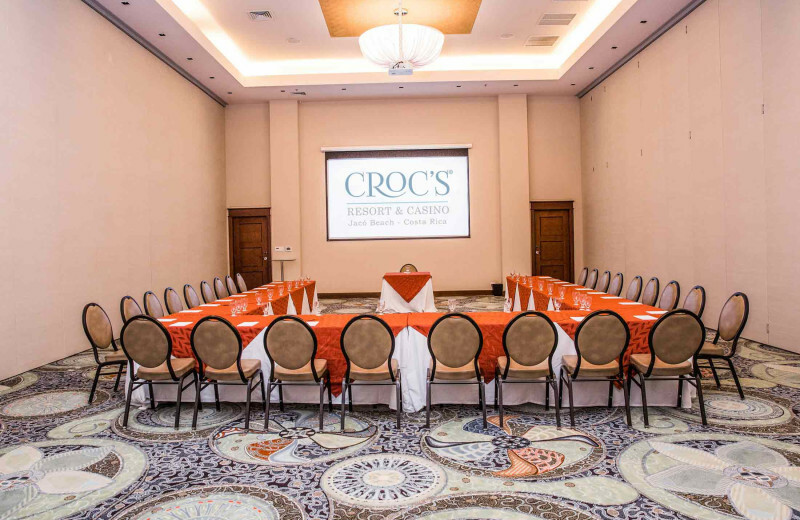 At Croc's Resort & Casino, you and your new spouse will feel right at home in a luxurious room that overlooks the Pacific Ocean. 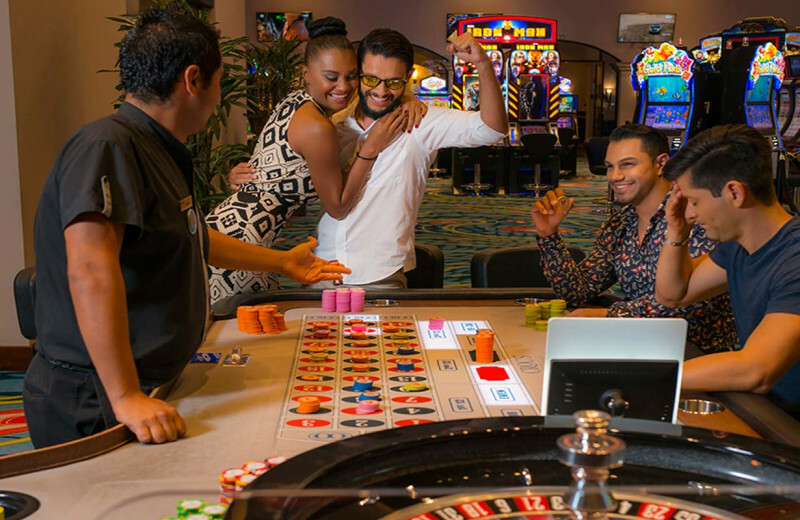 Indulge in days out on the beautiful white-sand shores of Jaco Beach, test your luck at the onsite casino, or just lounge at the oceanfront pool and take things slow. 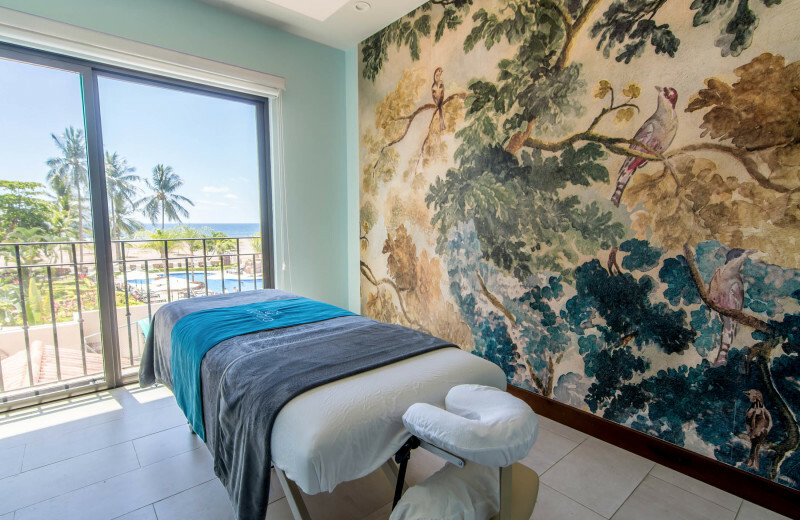 Don't forgot to enjoy a soothing massage at the spa and treat yourselves to delicious meals at any of the resort's four restaurants. 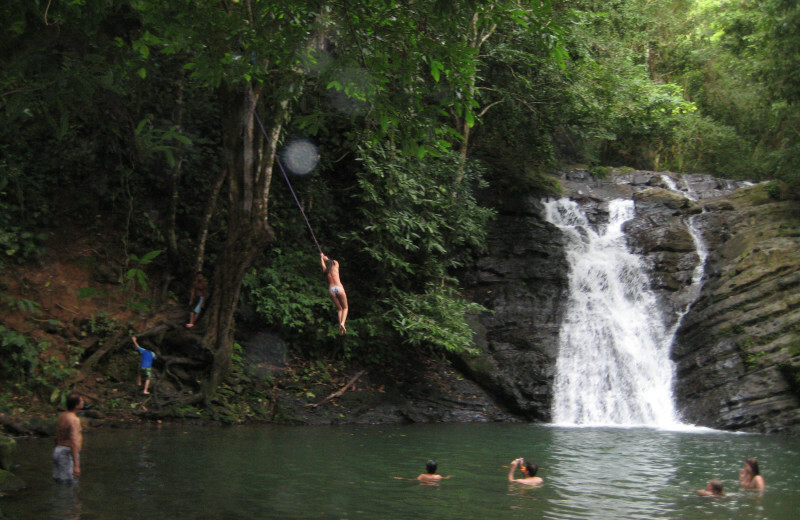 This is a everything you're looking for in a tropical honeymoon vacation--and so much more! Take a little vacation from your vacation at the Carara Spa & Salon! 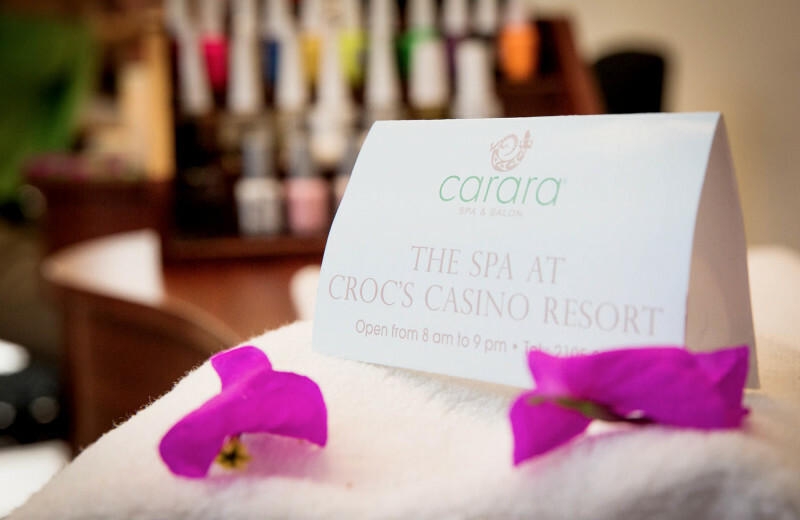 Located at Croc's Resort, the Carara Spa is a refreshing sanctuary where you can unwind and rejuvenate as much as you'd like. 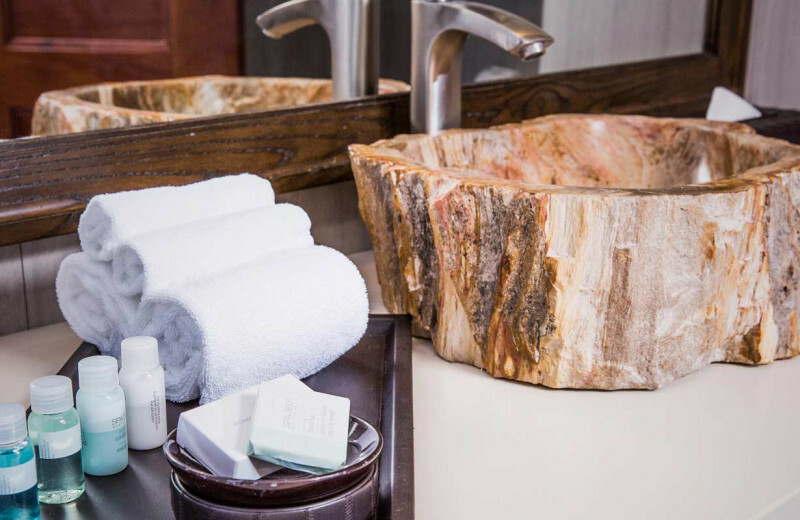 The boutique spa features separate men and women's facilities that are equipped with lockers, showers, sauna, steam room, and jacuzzi. 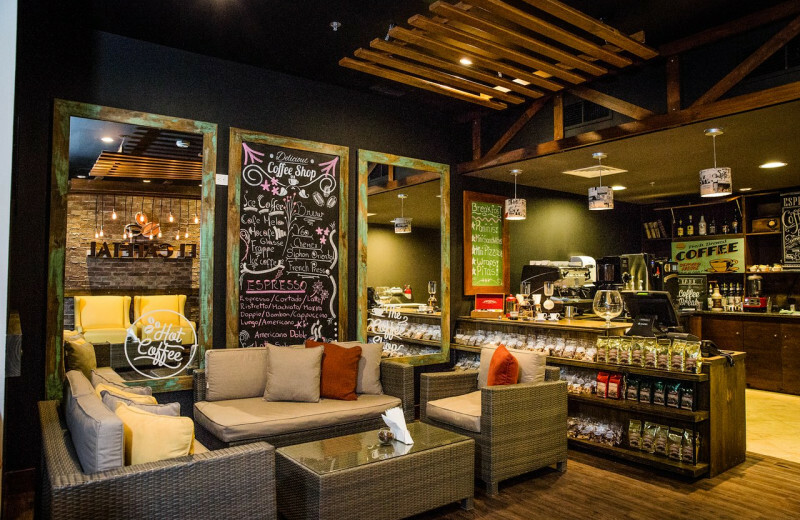 A shared waiting lounge and jacuzzi area offers refreshments to enjoy while you wait for your appointment. Choose anything from body wraps to facials to soothing massages, or stop by the salon for a mani-pedi or haircut. Their professional staff will make you feel like new by the time you're through! 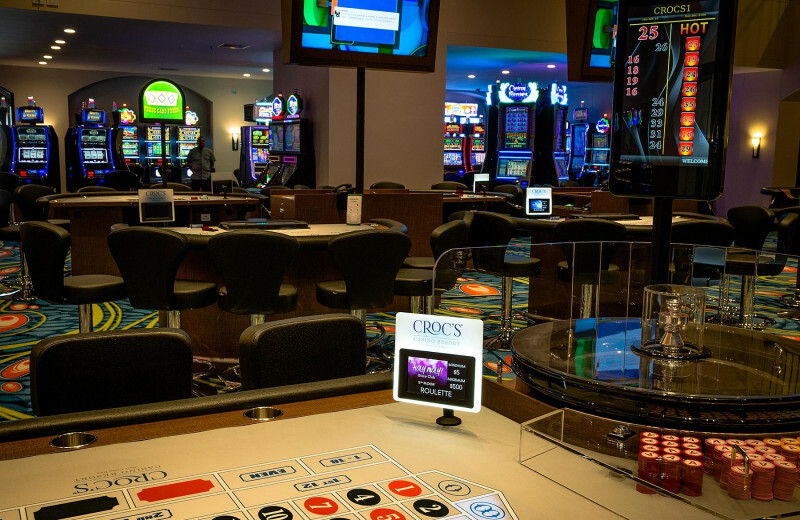 Aside from the 152 luxurious guest rooms and junior suites, Croc's Resort & Casino features 17 one or two-bedroom condominiums! 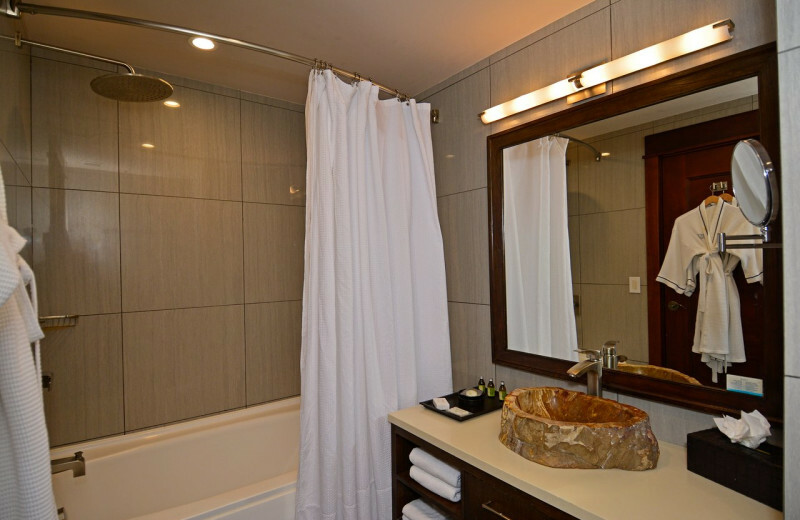 All condos are beautifully furnished and maintained to make you feel right at home throughout your stay. You'll find comfy beds with ultra-premium, pillow-top mattresses, luxury bedding with top-notch linens, duvet, and pillows, and full bathrooms with organic bath products. Condos have their own fully-equipped kitchen for added convenience!